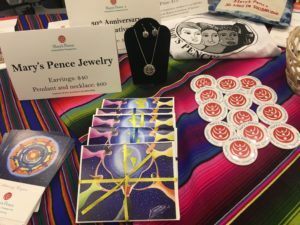 Donations to Mary’s Pence make wonderful gifts to honor life’s important moments like birthdays, graduations, and weddings, or to celebrate a loved ones life. When you give in honor or memory of someone, we send them or their loved one handwritten notification of your gift. We would be glad to send you note cards so that you can write your own notes. Consider asking for donations to Mary’s Pence in lieu of gifts when celebrating special moments in your life. Donate in honor or in memory of someone you love.